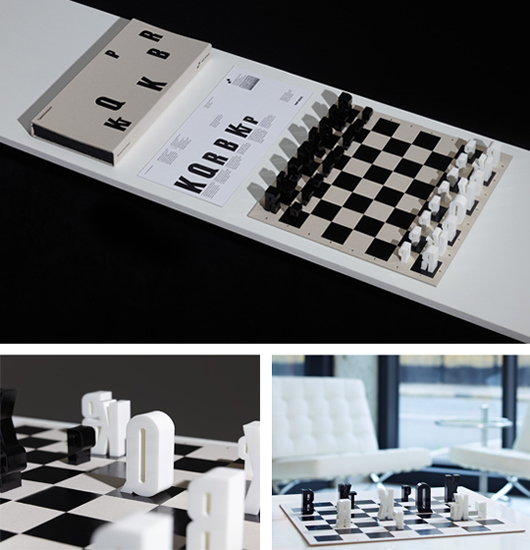 A wonderfully minimal typographic chess set conceived by Hat-Trick Design based in London. A typographic chess set based on chess notation. The forms are based on typeface Champion (Lightweight) by Hoefler Frere Jones.